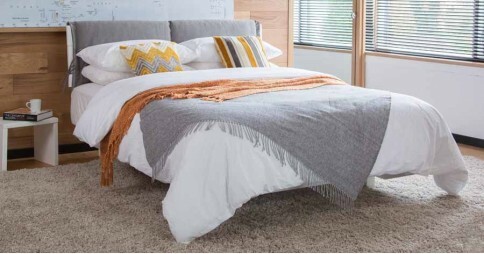 We consider one of our specialities to be low beds and our time-tested handmade techniques have proven to be a defining feature. From our pioneering designs to our more classic ones. 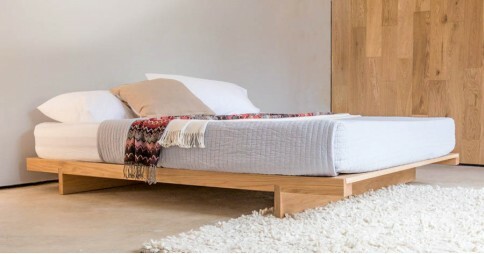 We offer 13 varied and interesting designs, each taking inspiration from the cultural tradition of Japanese sleeping habits and bed designs. 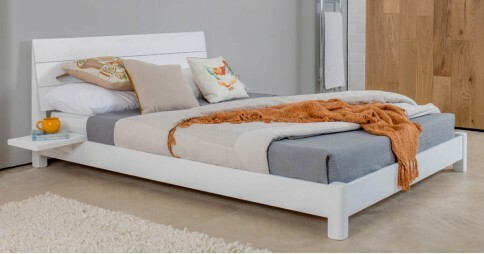 Our high quality range of low bed frames is a collection of luxurious, space-saving innovations, designed to be minimalist and contemporary while providing an exceptional level of comfort. 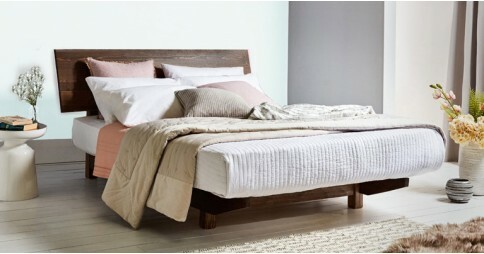 Not only does our range of low wooden beds include some of our stylish platform beds, we also feature several of our brand new floating bed models. 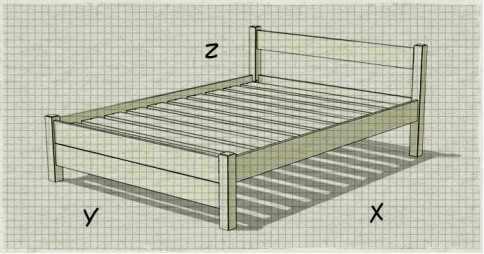 An integral part of our wooden bed frames being handmade is that we can change and customise your low bed to your exact requirements. We pride ourselves in offering a bespoke and personalised service, which means if you need any adjustments made to either the size or the design, we provide just that. 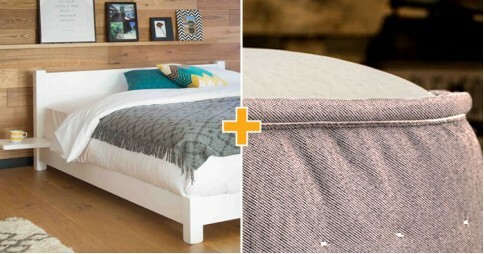 Our all round service is suited to not only provide alterations to your bed frame, but also to your bedding and mattresses too. 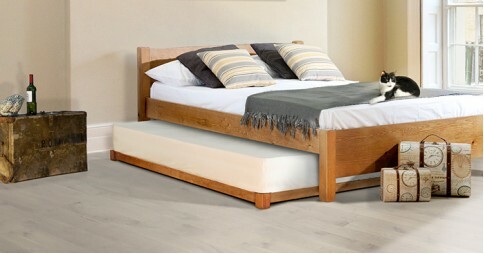 Bespoke adjustments on beds start from as little as £55. 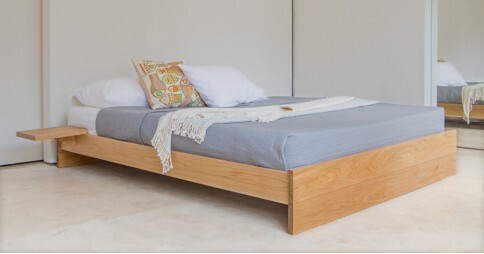 We help you to bring a personal element to your bespoke low bed by offering you ten luxurious satin stain finishes that are available for any model. 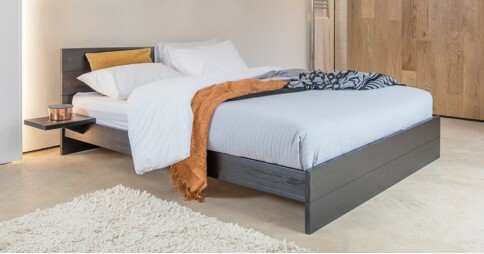 Choose from such colours as a smooth black, gentle white and a sleek grey finish for your wooden bed frame which are among the most popular with our customers. 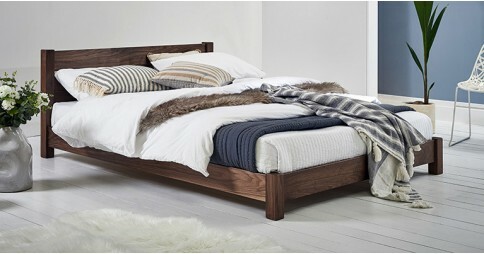 We also provide you with the opportunity to have your bed made from one of our eight solid hardwoods, which present a more natural and luxurious looking bed frame. 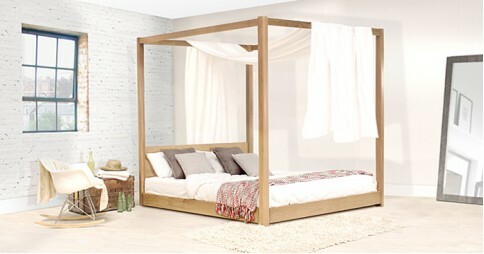 Choose between our excellently styled Walnut, or the classic solid Oak, or any of our other six hardwood options. 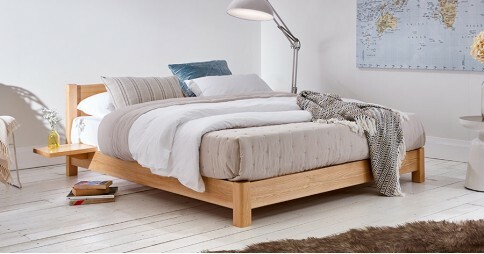 We aim to ensure the wood we use to make our beds is sourced from sustainable locations and is both FSC and PEFC approved and we pride ourselves on respecting our environmental responsibilities. We take pride in our beds and service, so we aim to provide our customers with the highest standard at every step of handcrafting your wooden bed frame until it’s at your door. 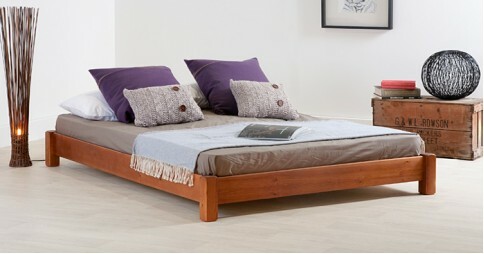 If you have any questions, or would like to order one of our low beds, please give us a call on 0207 183 5464.